Daily change in any city can be difficult to recognize. Although everyone notices when a building is razed, it is more challenging to identify the subtle alterations occurring regularly which make a city slightly different than it was the day before. It is for precisely this reason the authors have decided to capture the changing face of Dubuque through a compelling selection of over 80 vintage images, each paired with its modern counterpart. 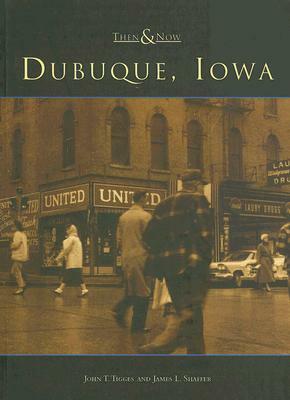 Older residents will be able to identify many of the long-gone structures pictured in this volume, but newer arrivals will uncover a Dubuque they never knew existed. Public institutions, parks, homes, and entire blocks have been altered, and from the birth of photography to the present, these changes are documented in this volume. The physical contrasts between Dubuque's residents today and those of long ago are immediately apparent. Fashions and jobs are always evolving, but the similarities outnumber the differences. The people of Dubuque are, as always, hard-working and self-reliant, and they remain proud of their heritage and their town.